Organic sweet almond oil is solar-infused with calendula blossoms and chamomile flowers for six weeks, then filtered and combined with jojoba oil, rose, geranium oil, and vitamin e. The result is a nourishing, moisturizing oil that absorbs quickly and feels light, never heavy or greasy. 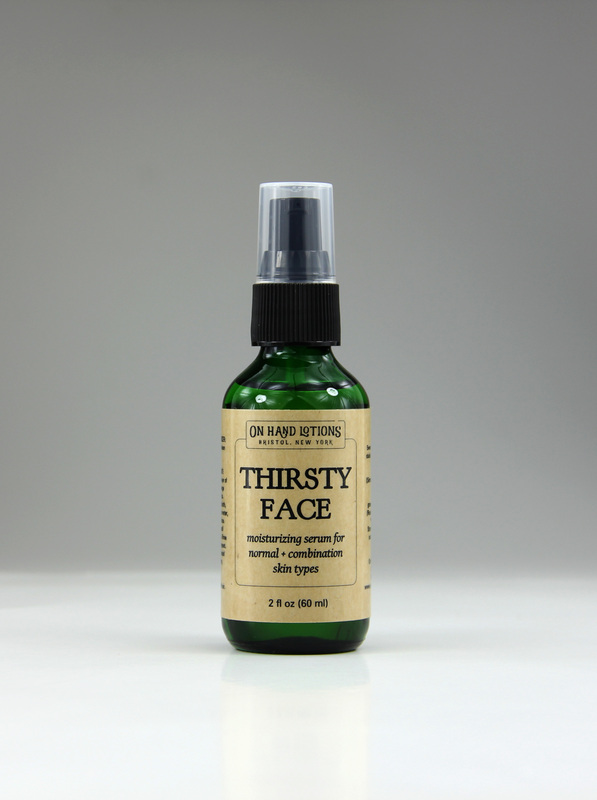 My testers raved about the rose and geranium scent and feel of Thirsty Face and loved how smooth it made their skin! The green glass protects the delicate oils and the new pump cap makes application easy and fast. 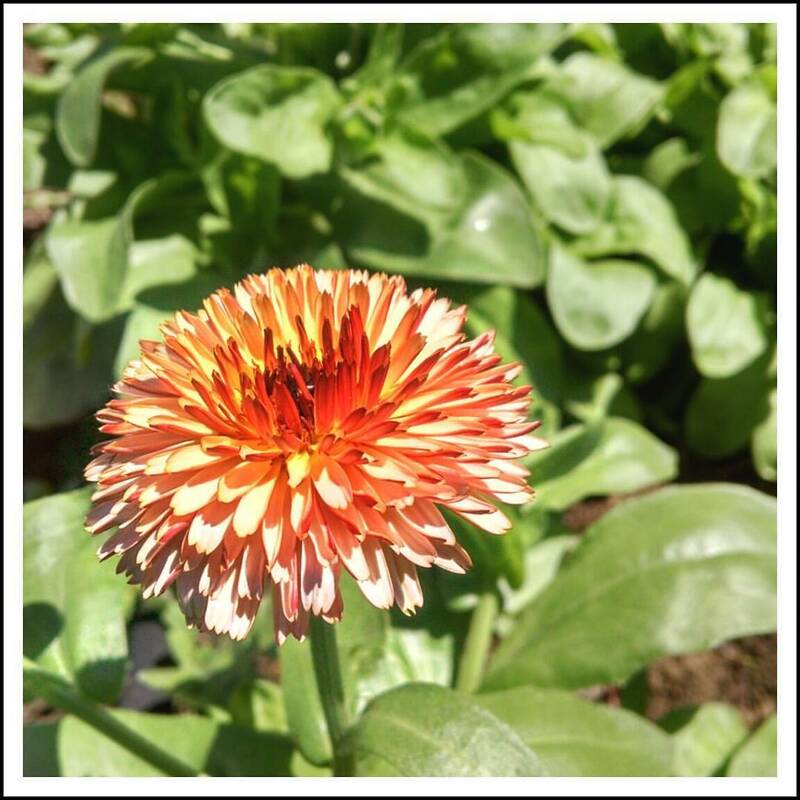 We start by growing calendula and chamomile flowers following organic practices. 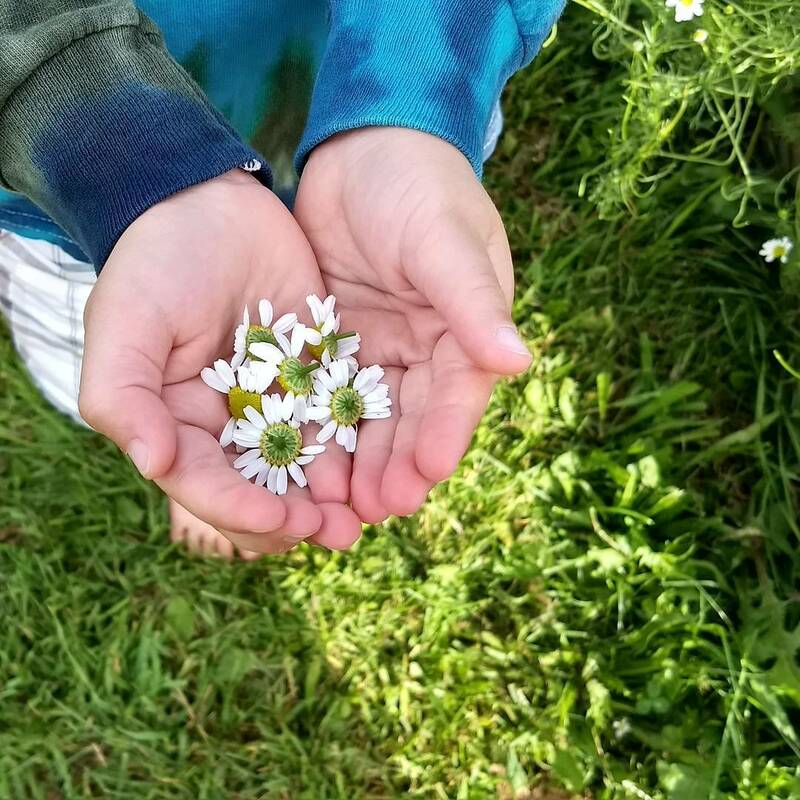 The flowers are then harvested by hand, dried, and infused into organic oils. We use our homegrown, handcrafted infused oils to create our balms. This gentle organic oil blend works well as an organic baby oil, body oil, or hair oil. Calendula and chamomile are both calming and nourishing for sensitive skin, jojoba oil lends deep moisture without clogging pores, and rose and geranium oils are known for their healing and soothing properties. Choose a mini bottle with dropper insert (15ml / .5 oz) or regular size bottle with pump cap (60ml / 2 oz). To apply, dropper insert: Remove black cap, tip bottle upside down, and tap inner reducer cap onto fingertips to get the serum flowing. Do not shake the bottle. Both cap styles: Smooth over freshly-washed skin. Don't forget to apply to your neck as well. Cheers to healthy skin! 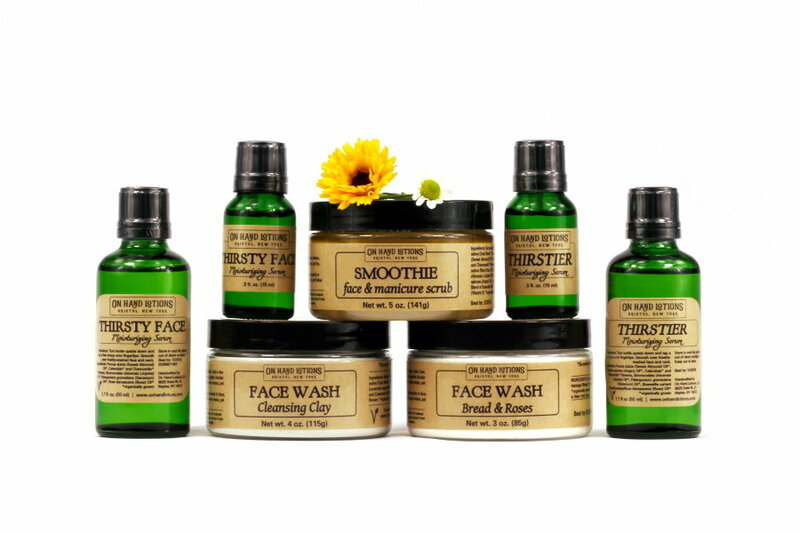 Ingredients: organic sweet almond oil, organic calendula blossoms, organic chamomile flowers, organic jojoba oil, organic rose and geranium oil, vitamin e.